Upwell smockmill stood to the south of the village between Three Holes and Lot's Bridge on the east side of the Ely to Wisbech Road and a short distance to the west of Mudd's Farm. The mill, known as Middleton's Mill in the 1820s, had an 8 sided tower. It is possible that the miller who intended to retire in 1820 after 40 years of running the mill, was by the name of Middleton although no records to confirm this have yet come to light. A Messuage or Tenement with Barn, Stabling, Waggon Lodge and other Outbuildings. 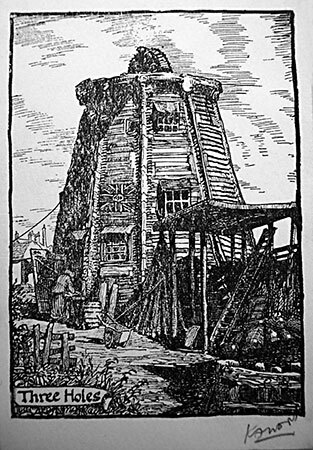 A WIND CORN MILL, known by the name of MIDDLETON's MILL being one of the most substantial and capacious and best Mills in the Kingdom, situate within a mile of the town of Upwell and commanding the trade thereof as well as the greater part of Upwell Fen. Also 45 acres of rich Grazing and Arable Land lying contiguous to the above. The Proprietor for nearly 40 years carried on a most extensive business as a miller and merchant and now intends to retire. The Homestead with the Mill are Copyhold of the Manor of Beaupre Hall and the 45 acres of Land is Freehold, part of the Land tax is redeemed and 30s. a year assessed on the remainder. If sold altogether half of the purchase money may remain on security of the premises. If sold in Lots, the hand bills which are intended to be distributed will shew the particulars. Further information on application to Mr. palmer, Solr. 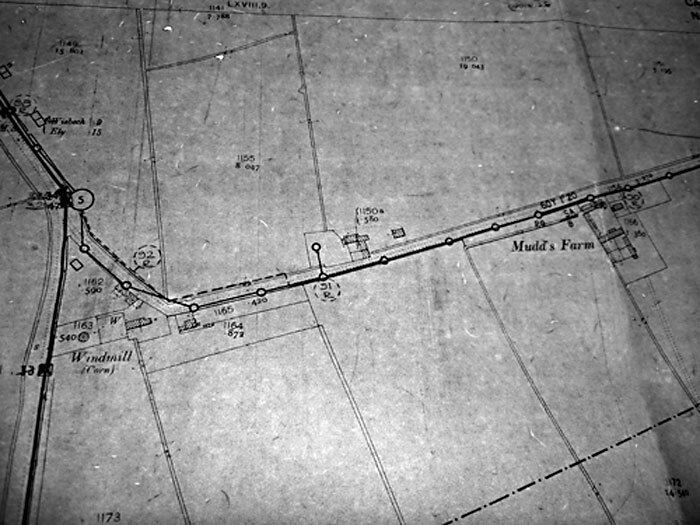 Upwell at whose office a Plan of the Estate may be seen. Upwell, Wisbech, 13 November 1820. The mill was damaged in the gale of 22nd February 1908 and may have ceased working at that time. ... There were Two Tower Mills at Terrington_St_Clements and they Both had the Top Blown off in the same storm and one at Tilney St. Lawrence, one at Terrington_St._Johns. I don't remember what happened to that, it was put out of order, one at Walpole_Highway, one at Walton Bank, one at West_Walton,one at Denver, one at Emneth that was burnt, one at Watlington, one at Three Holes, one at Wisbech, (one at Manea owned by my Uncle) all these were in working order before that storm. Only Father's Mill was a POST MILL.